A new truth commission is about to investigate Brazil’s legendary police brutality and, for the first time, attempt to bring some public accountability for the crimes committed by the state. Police kill an estimated six people per day. Civil society organizations persuaded the Sao Paulo Legislative Assembly (ALESP) to establish the commission, the first to focus on human rights violations in the post-dictatorship period. It will hear testimony from witnesses and survivors of police brutality, and examine documents and other evidence related to major cases of police violence in the city and state in the last decades. The initiative follows the recent release of reports by the National and Sao Paulo State Truth Commissions on human rights violations during the military dictatorship (1964-1985). In fact, the reports suggested that present-day violence should be understood as a legacy of the lack of accountability for past violations. 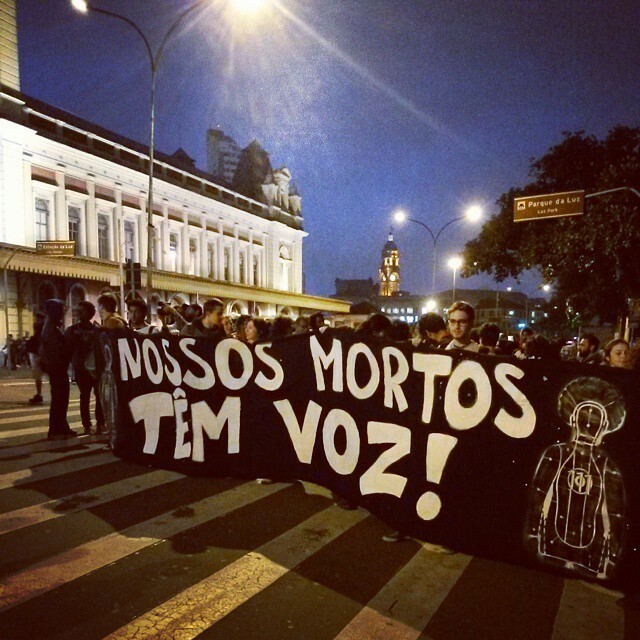 The “Truth Commission of Democracy Maes de Maio” – named after a prominent movement of family members of victims of police violence that fights for justice and changes in security policies – held its first hearing on March 21. Parents of some of those killed in May 2006, when at least 493 civilians were killed in a period of 10 days, testified. (The National Truth Commission had accounted for 434 people killed during the 21 years of military rule.) The violence in May 2006 took place in the context of a conflict between the police forces and the “First Command of the Capital” (PCC) – a criminal organization formed within the detention system, and was justified as part of a “war on crime.” A study conducted by the International Human Rights Clinic of the Harvard Law School and the Brazilian Human Rights Organization Justiça Global contends that at least 122 deaths were directly linked to the police, and many of these bodies showed signs of execution. Four other civilians remain missing after nine years, and nearly all the cases have been archived without a resolution. With the participation of representatives designated by the National Secretariat of Human Rights, legislators, and members of social movements, the new commission will also examine other massacres, such as one at the Carandiru penitentiary in 1992 and the nighttime slaughter – also linked to police officers – of several people who were sleeping near the Sé Cathedral, in downtown Sao Paulo, in August of 2004. The truth commission is more than a symbolic step towards recognizing and bringing some degree of state accountability in human rights violations; it shows the growing pressure of the movement against anti-police violence and in favor of justice and reparations for victims. Deputy Adriano Diogo, a major proponent of the panel, has warned that the way ahead “will be difficult; this is a discussion that the Brazilian government does not accept to have.” Insofar as the truth commission succeeds, it will not only create an institutional space linked to the state to clarify cases of police violence; it will stimulate an important discussion of the legitimization of police brutality in the context of “fighting crime.” In addition, it could contribute to the understanding that unlawful police violence is a form of political violence that no democratic society should endure.